In a few short hours my summer comes to an end. Which means that my week of S'more Summer has also come to a close. When I planned this week, I didn't even know that yesterday was National S'mores day which was a little weird and coincidental when I noticed that Facebook was exploding with S'mores recipes. 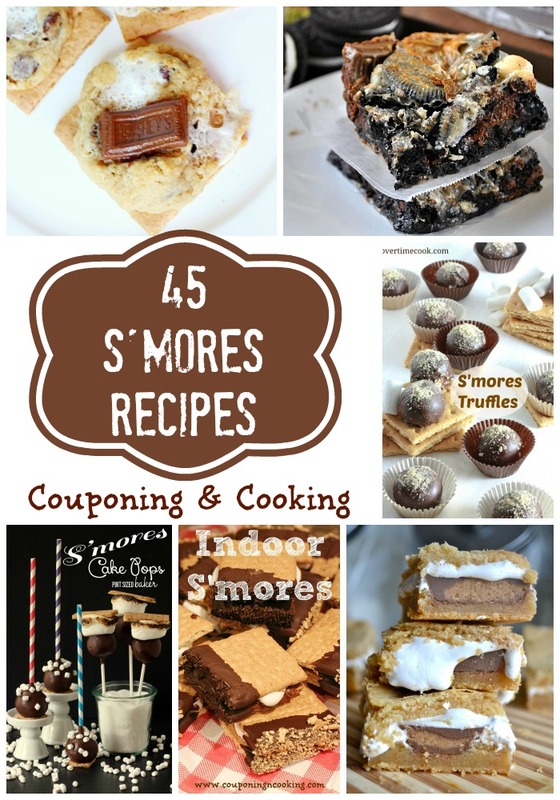 In an attempt to mentally extend summer, I have rounded up 45 decadently, delicious S'mores recipes from some of my favorite bloggers. Enjoy this array of ooey, gooey goodness and make sure to click through the photos and show the bloggers some love. These photos are not mine but I have rounded them up for you to enjoy. If you want to pin an individual recipe or specific photo please click through to the original post and share from there. If you want to pin this post and the entire collection just pin the collage above!